The biggest event on the puzzle calendar is around the corner. 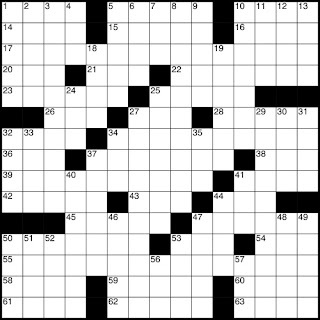 The American Crossword Puzzle Tournament (ACPT) began in 1978 when a Stamford, Connecticut hotel manager, trying to drum up some business over a dreary February weekend, invited then-New York Times crossword editor Eugene Maleska to host a crossword tournament. The fusty Maleska declined, but referred the innkeeper to a 25-year-old crossword savant named Will Shortz, who did accept the gig. He brought together his friends in the professional puzzle community and together they managed to pull it off. In fact, it went so well that they decided to do it again the next year. Fast-forward to 2011. Will Shortz, himself the New York Times puzzle editor since 1993, continues to preside over the ACPT to this day. In the years since its modest debut, the tournament has grown from a small local event to an internationally known, widely covered annual phenomenon with over six hundred participants. Most notably, the tournament received such an attendance boost a few years ago from the hit documentary Wordplay that it outgrew the Stamford hotel and had to relocate to the larger Brooklyn Bridge Marriott. It's otherwise more or less the same event it's always been, just a lot bigger. In addition to the tournament itself, which runs all day on Saturday and wraps up Sunday afternoon, there are casual puzzle/trivia/game events on Friday and Saturday evenings and different celebrity guests each year, including New Yorker cartoonist Roz Chast this time around. Having attended the tournament, I would say it's a lot like a marathon. There are hundreds of participants including the world's best, and most people have no chance of winning. However, everyone can still shoot for a personal best, and it's more about the experience than where you finish. It's less a competition than it is a convention, a lovefest, a gathering of the tribes, and everyone who attends is happy they did. You don't have to be a superstar solver; liking crossword puzzles is the only prerequisite to having a great time. The 34th annual ACPT will take place March 18 to 20 in Brooklyn, New York. More information is available here. Are you going to the ACPT? Because I was counting on you for write-ups! That grid is merely decorative. Looking forward to seeing you there again, Ben!